Modern history of EUTIT company is based on privatisation of formerly state enterprise. The company was privatised in 1995 by direct sell method to group of partners, which was created mainly by long-term employees of the enterprise. In this period the sewerage program has been resuscitated. The company linked to successes from fifties and again it started with production of gutters and other casts from melted basalt for this application field. This completed today form of production program with three main pillars – piping, tiles and products for sewerages. In 2000 the company invested into purchase of line for grinding of SKID PAN special tiles. This step was forced by increasing demands of main users of the tiles, i.e. leading automobile manufacturers, which use them in construction of special polygons for testing of running characteristics of the vehicles and tyres. In cooperation with specialist company, special binders for gluing of basalt products were developed. 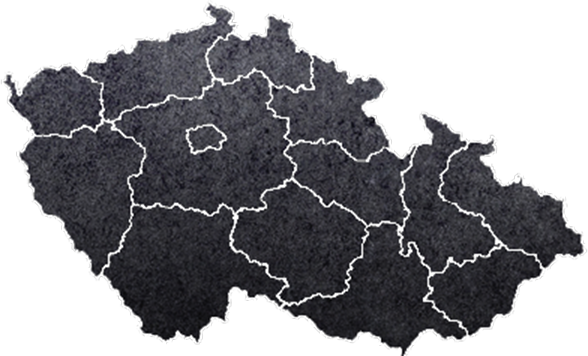 This product range is named EUFIX and it was developed with regard to specific characteristics of basalt products. The adhesives are used mainly for gluing of tiles and sewerage elements. Presently the company persistently achieves annual sales exceeding 200 mil. CZK, it has approx. 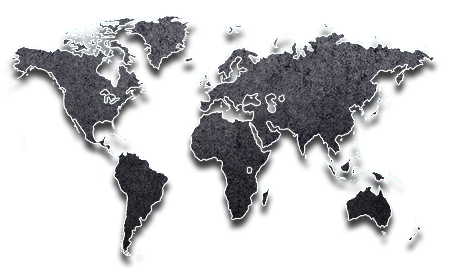 200 employees and exports its products worldwide. EUTITcontinuously tries to penetrate even into non-traditional areas, it is open to needs of customers and thus it continuously develops still new products either for their application in industry, or in architecture. 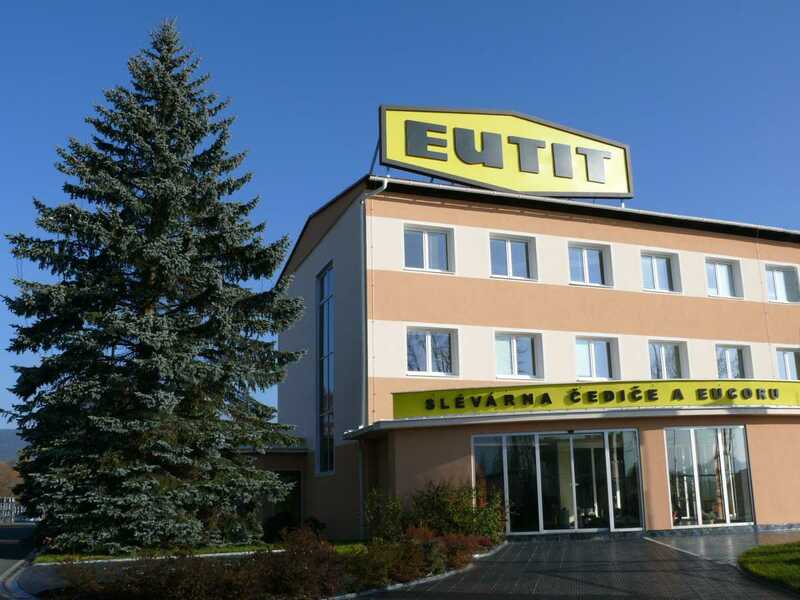 In 2008 EUTIT took over 100% and founded its subsidiary company SLÉVÁRNA PLZEŇ s.r.o. The shareholders decided to take up the tradition of gray and ductile iron manufacturing and extended the range of other types of material, namely wear-resistent ones. History of melting of basalt in EUTIT company dates back to 1951, when – in old plant - casting of tubes intended for mining industry was started (piping transport of coal). The very first product was basalt tube of diameter 180 mm and length 330 mm. First tile was cast in 1953. Then production capacity was approx. 1 thousand tonnes of basalt annually. The production range was gradually expanded through casts moulded in sand (bends, tiles) up to tiles cast into metal iron-moulds. Length of tubes increased to 500 mm, which is standard dimension even today. In 1957 the raw material source was changed; we started using of basalt from Slapany mine. Chemical and mineralogical composition of basic raw material significantly affects the quality of casts. Basalt from new mine was more suitable from this view as compared to previously used raw material. It enabled further development of production and construction of new plant with higher production capacity to enable meeting of growing demand for basalt products. Production in new plant started in 1969. This new plant is used for production of EUTIT company up to now. Production technology was subject to many significant improvements and it is improved almost continually. Today production range of EUTIT covers almost 20 thousand of various types of products and annual production of the basalt achieves 15 to 17 thousand tonnes. At the start of ninetieth of previous century additional two significant innovations were made. Firstly, the fabrication production program was implemented, i.e. own production of complete abrasive resistant pipes, and secondly, casting of zircon-silicate with trade name EUCOR was launched.